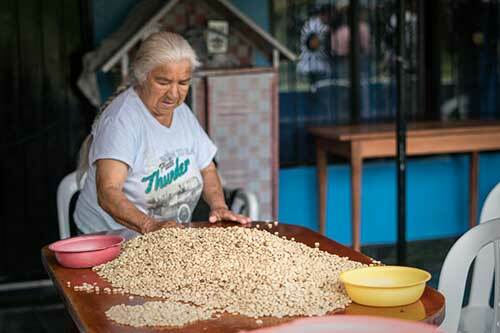 This stunning coffee is brought to us by the AMACA – an association of all female producers with 140 smallholder members, all women farm owners and heads of household. 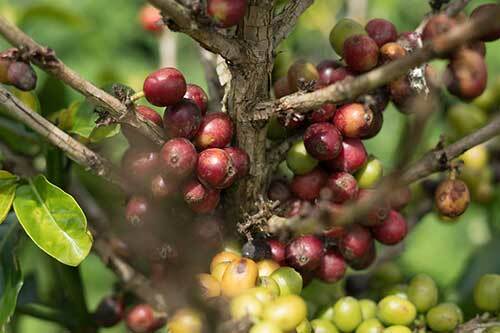 As a Program Coffee, a premium is paid to AMACA above the value of the coffee itself to support their goals and aspirations as a group. Their mantra is simple: to improve the quality of life for their members and their members’ families. Currently, one of their most pressing needs is a warehouse space to properly receive, cup, manage, and store their coffees. We are delighted to support these premiums to help them to accomplish these goals and in turn, support this passionate and strong-willed group of women in their love for and livelihood of quality coffee. 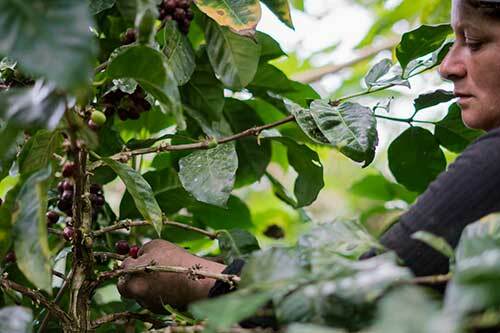 The coffee is grown at an altitude of 1,750 MASL in the plentiful jungles of Cauca. 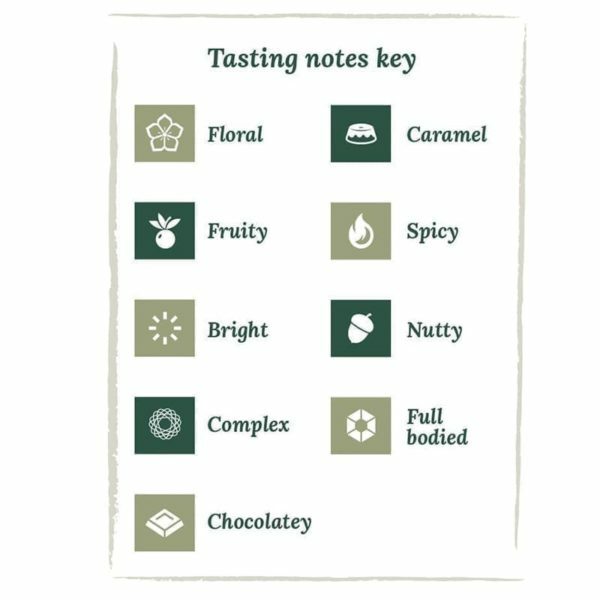 This is superior coffee roasted to bring out the beautiful creamy and sweet caramel flavours with a fruity apple finish. One to try. 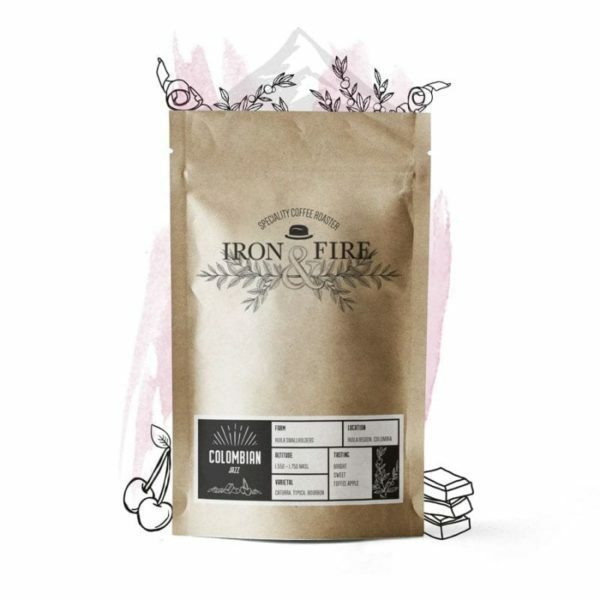 Iron & Fire are delighted to share with you this superb coffee from the AMACA. The AMACA – Asociación de Mujeres Productoras Agropecuarias del Cauca – is an association of all female producers formed 1999 by a group of 80 women whose families had suffered as a result of the longstanding conflict in Colombia. There are now 140 smallholder members strong, all women farm owners and heads of household. All of the members derive their livelihood and the livelihoods of their families from the cultivation and production of coffee. The members advocate for: women’s ownership over land and resources, and leadership within their respective communities and following the 2016 Peace Treaty and widespread initiative to eliminate conflict in Cauca, institutions are looking to AMACA as an indicator of how coffee can be a viable and sustainable source of income while also supporting the peace process. This demonstrates how coffee can serve as a vehicle for women’s empowerment and a pathway to peace. The average farm size is 1 hectare (5,000 trees) per member, some members have 3+ hectares and many members have less than one. 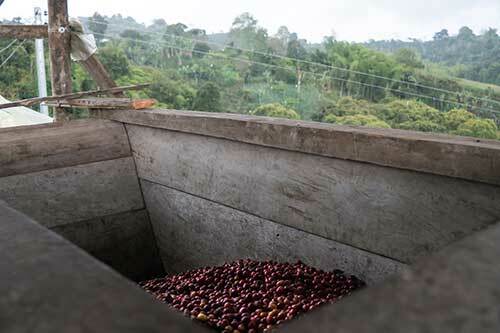 In terms of harvesting and process, most all members harvest only fully ripe cherries, depulping on the same day as harvest, processing on their own farms, and drying on raised beds inside parabolic dryers. The coffee is grown at an altitude of 1,750 MASL under canopies of banana trees, citrus fruits and alongside sugar cane and taro. It’s a washed blend of Castillo, Caturra and Colombia varieties.